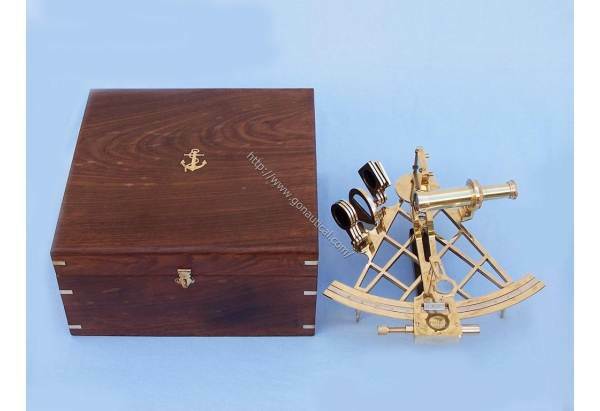 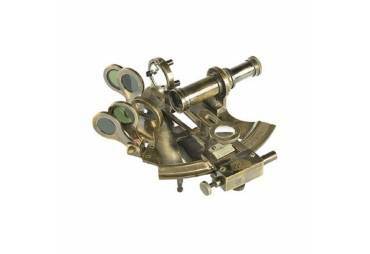 → Nautical & Coastal Decor >Sextants>Admiral's Brass Sextant 12"
Features: Admiral's Brass Sextant 12"
The German C. Plath sextant is regarded as the "Rolls Royce" of nautical sextants. 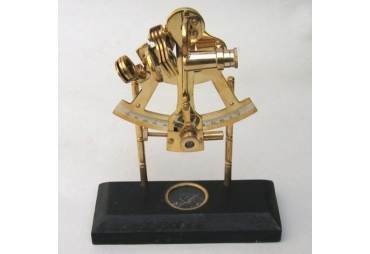 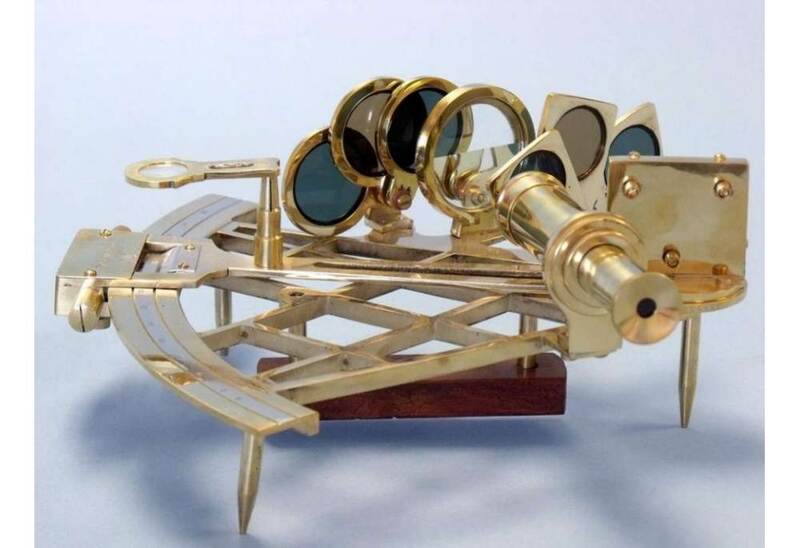 This is the best sextant that we offer. 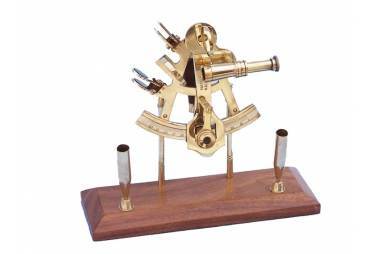 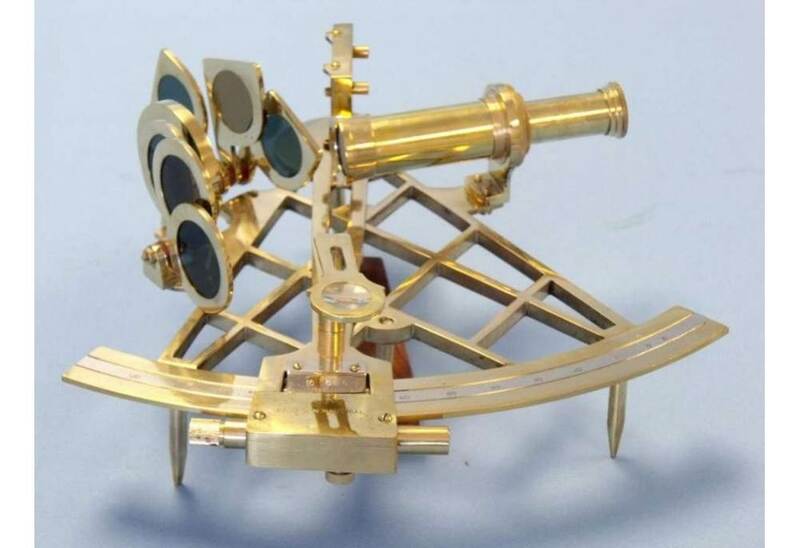 This Hampton Nautical premium quality 12 inch radius sextant is a beautiful full scale reproduction of the venerable C. Plath micrometer drum brass sextant. 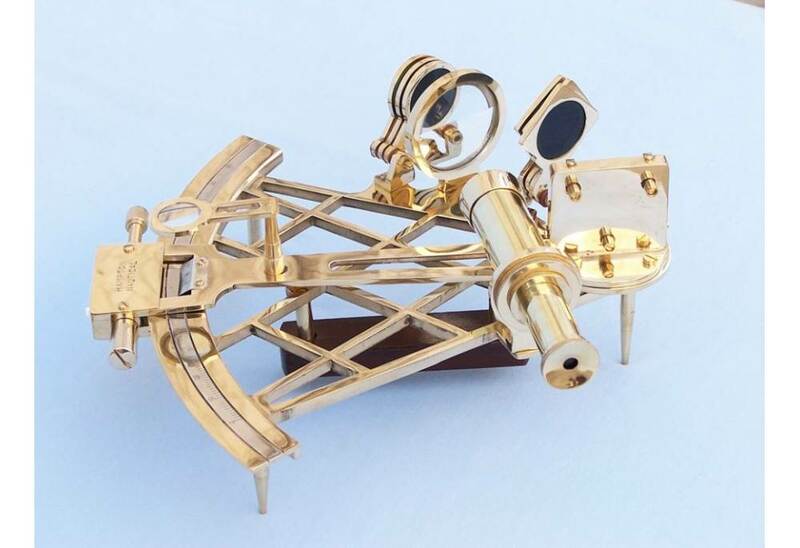 Each sextant has a unique serial number stamped on the handle. 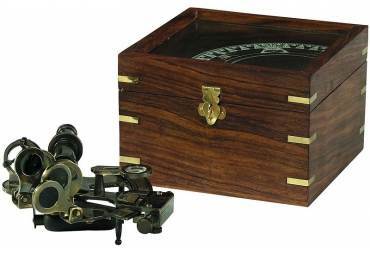 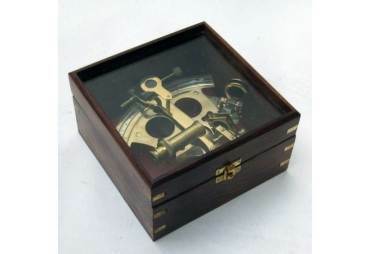 The sextant's box measures 12” L x 12” W” x 6” L inches. 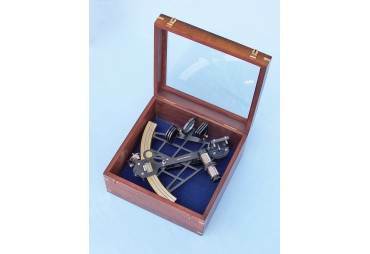 The sextant weighs 5.5 pounds and the sextant with the hardwood case weighs 8.5 pounds (4 kg). 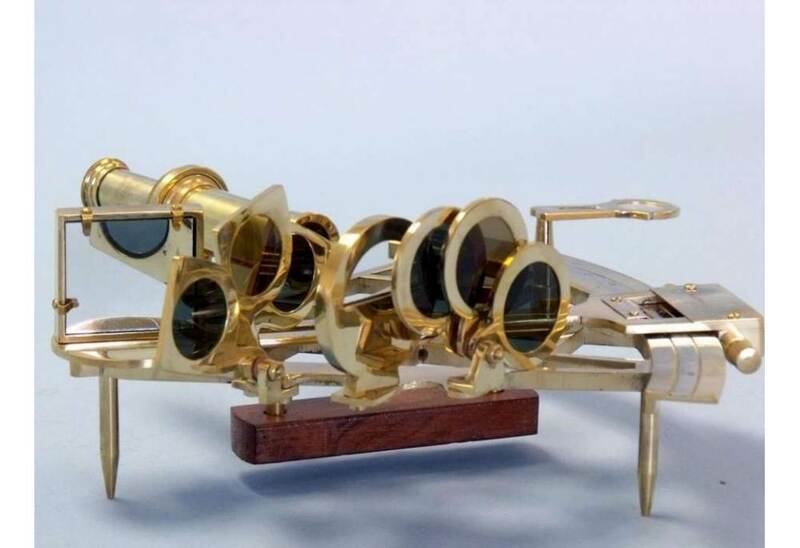 There are six swing-arm filters mounted on thick brass filter mounts. 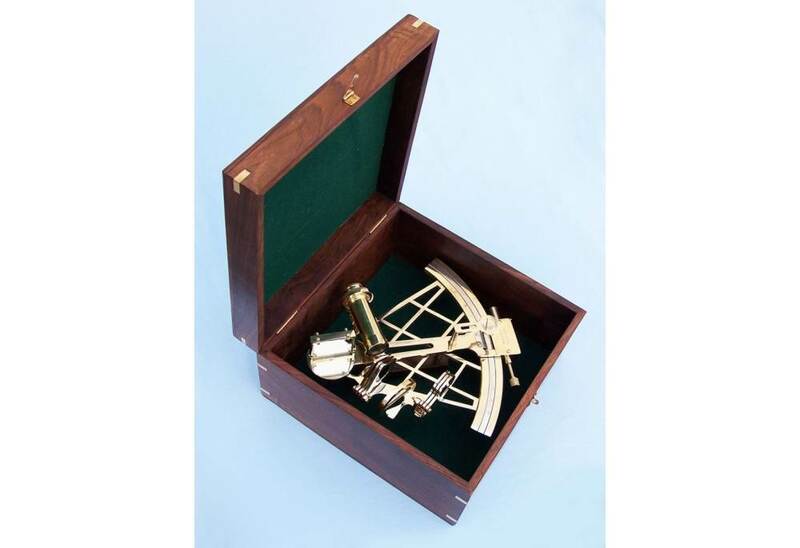 The telescope has a large objective lens and produces a very bright and clear erect image. 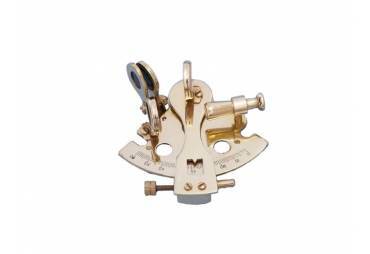 There are a pair of levers that when squeezed, pull the micrometer pinion away from the ground rack, allowing fast large angular movements of the index arm. 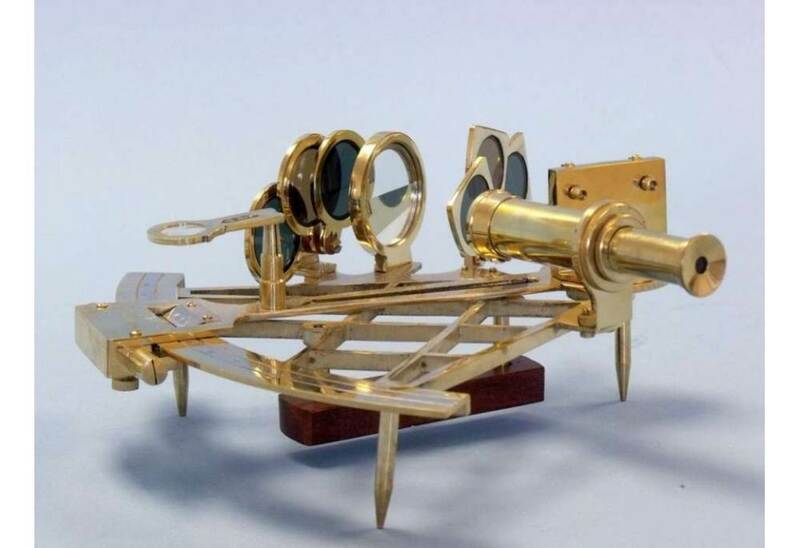 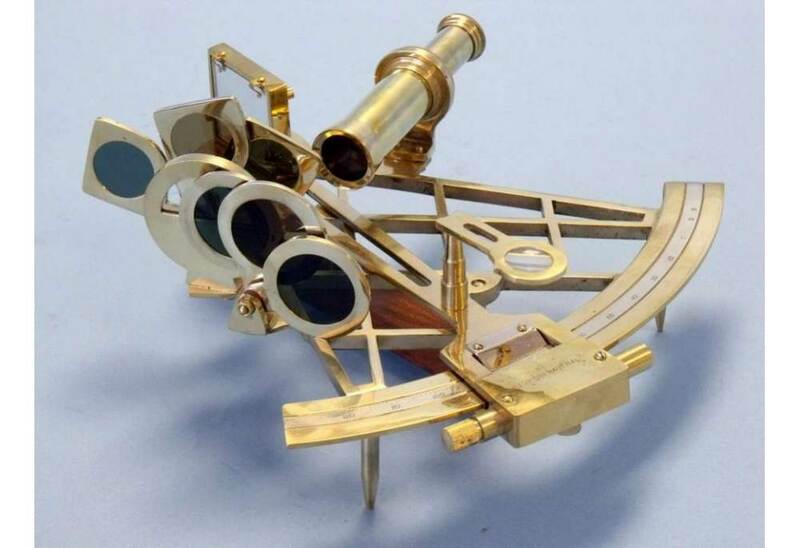 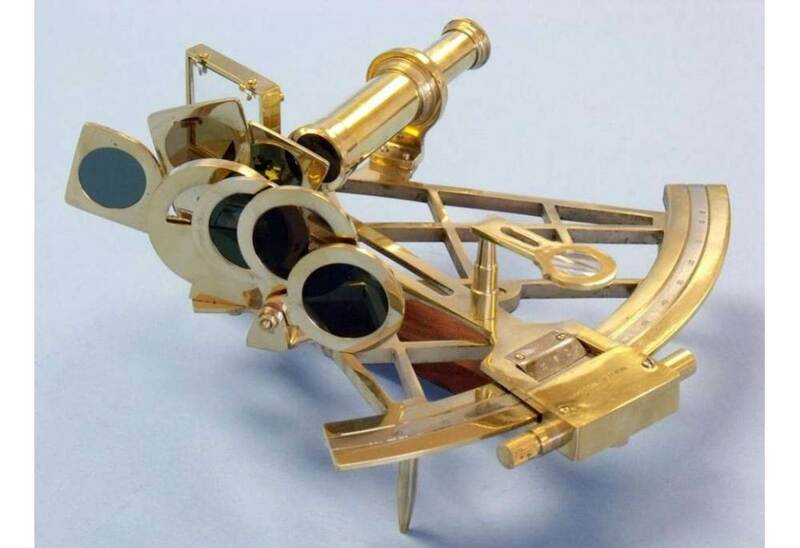 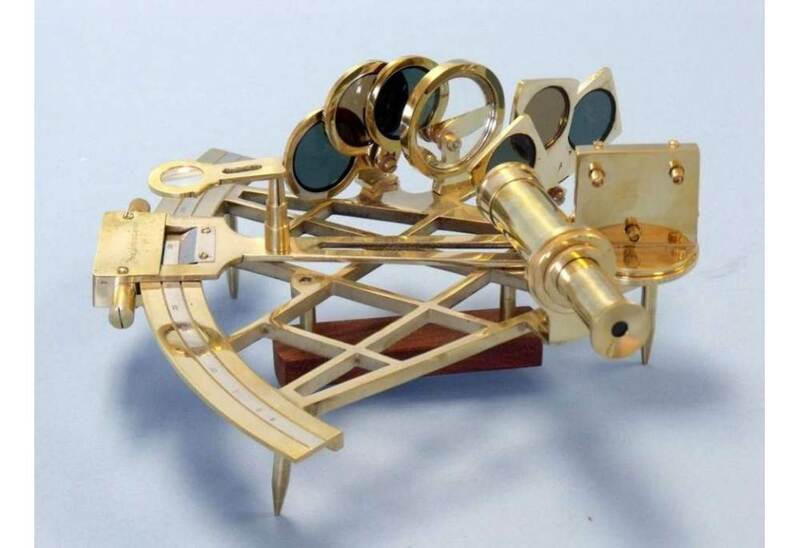 The sextant is shipped with the mirrors correctly adjusted, and further adjustments can be made using three inset adjustment screws. 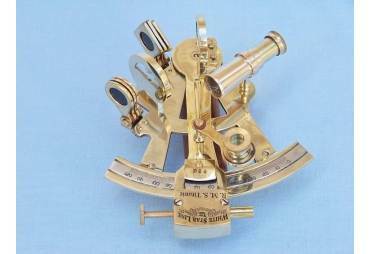 The limb on the sextant is engraved “Hampton Nautical." 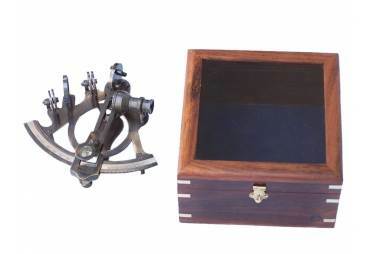 On the back of the sextant is a hardwood handle. 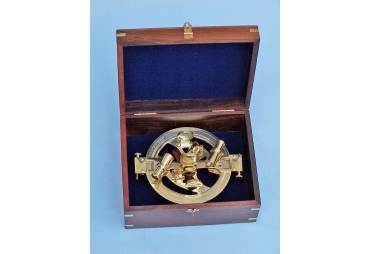 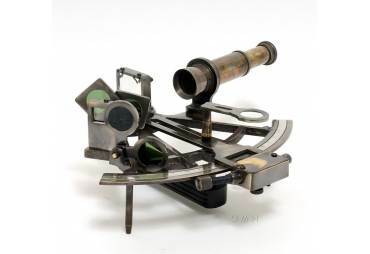 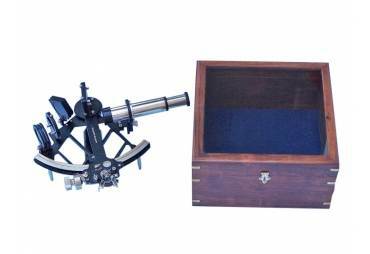 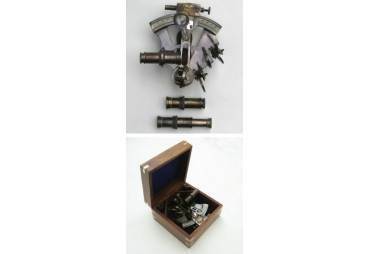 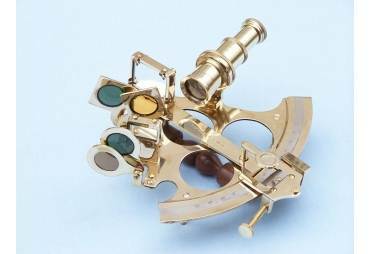 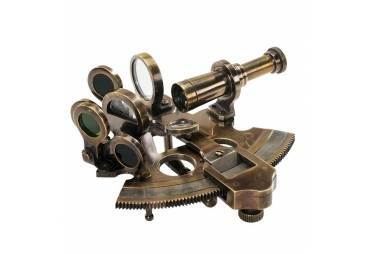 The sextant comes with a beautiful felt-lined hardwood case which weighs 3 pounds. 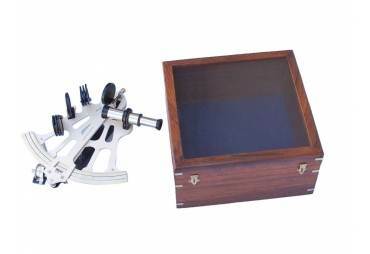 The case is made out of a high quality smooth finish hardwood. 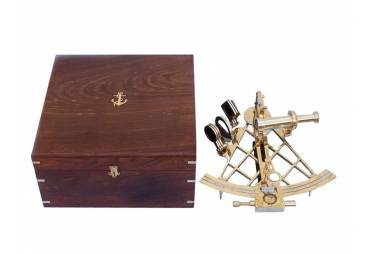 The box has one clasp and a brass filling of an anchor with rope Hampton Nautical embedded in the top of the box.